Aberdeen International Youth Festival programme launch. Picture by Kenny Elrick. 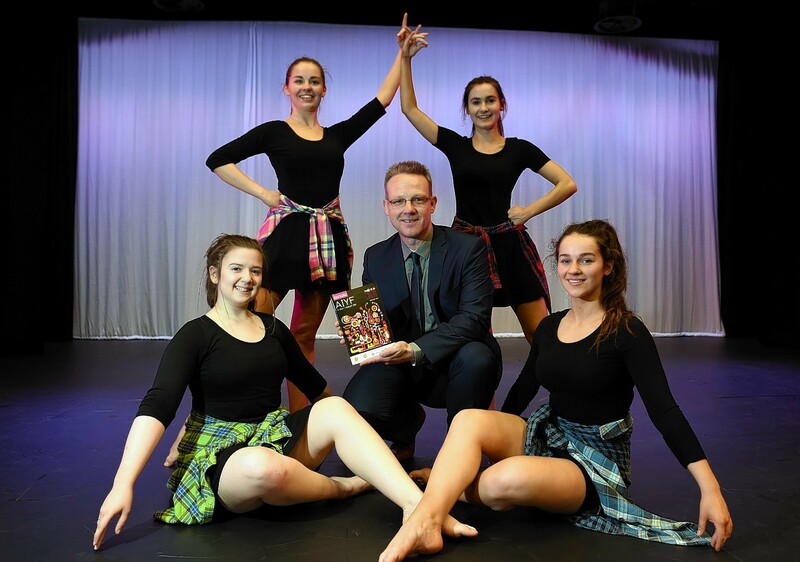 Visitors from around the world were welcomed to the inaugural Aberdeen International Festival of Youth Arts (AIFYA) yesterday as organisers hailed its resurrection. The performers gathered in Aberdeen University’s Elphinstone Hall for the opening event, which was attended by family members, councillors and AIFYA sponsors. The ceremony provided teasers of many of the festival’s up-coming performances, including an energetic dance performance from Australian dance troupe Ulysses. And to celebrate the international scope of talent present, the Madison Boy Choir from Wisconsin sang the anthems of all nationalities present, including those of Russia, Ukraine, the USA and Italy. The opening ceremony proved to be emotional for festival manager Amanda Macleod, who had been involved in AIFYA’s highly successful predecessor. City councillors withdrew funding for the Aberdeen International Youth Festival (AIYF) in November, backing a new £100,000 Year of Young People Cultural Award programme instead. The festival was reborn as AIFYA after support from the Aberdeen Multicultural Centre. Ms Macleod told those gathered: “The heart of the world today is you young people. You have brought a bright and vibrant energy to the city of Aberdeen. “The team faced a huge setback when the decision to close the beloved AIFA festival was made but we are here today to preserve its legacy and I have to thank my team for helping AIFA to rise from the ashes. The festival has already overcome its first hurdles, including a flooded Lemon Tree that forced organisers to cancel several shows over the weekend. The Aberdeen Mela, due to take place at Westburn Park, on Saturday was also cancelled. All shows will be rescheduled, with details being released soon on the AIFYA website. The ten day festival will be providing shows that celebrate the talent of young people, with shows not only in the Granite city, but as far north as Portsoy and as far south as Brechin. Professor Margaret Ross, vice principal for people strategy at Aberdeen University, welcomed performers to the event, saying: “This new festival brings people together to celebrate their creativity and ambition. For more information on the festival, visit www.aberdeeninternationalfestivalofyoutharts.co.uk.